Wow. Huh. 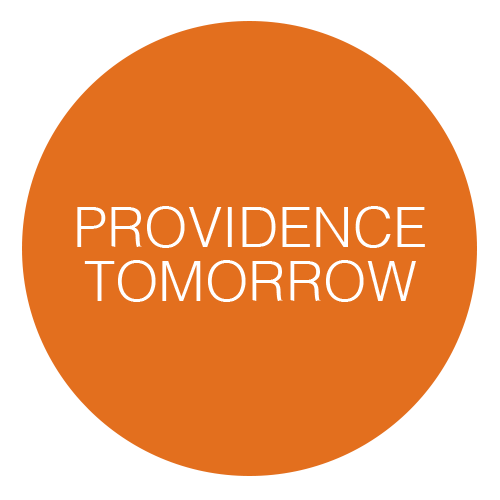 Hum… Those are the first words that pop into my head after participating in the first day of Providence Tomorrow planning charrettes. Not since medical school have I ever participated in an activity that left me so exhilarated, angry, hopeful, and depressed, all in one sitting. I’ll start “Part I” by reviewing my general impressions of the process. Basically, the morning and afternoon sessions worked mostly by breaking the crowd down into tables and asking them to put together their opinions on issues (Open Spaces first, then Arts & Culture). After that, the goal was to have those tables submit their impressions and have the larger group whittle down and prioritize those issues, lead by a talk-show-esque moderator. First, the Planning Department gets a lot of credit for pulling this off at all. While I of course know charrettes have been done here and elsewhere before, no place I’ve previously lived has done anything remotely similar, and no place I lived before would have generated anything close to the level of interest you see here in our Providence community (both good and bad). And these sessions are ambitious, nothing less than essentially turning over the task of planning and development to the lay-public for a day. It’s as if a lawyer or accountant pulled people off the street and said, “Hey, today, you’re going to tell me how to handle this client. Based on your feedback, that’s how I’m going to proceed with it tomorrow.” Again, pretty ambitious. The firm hired to run the charrettes gets a decidedly mixed review the morning after. They clearly are experienced and know their stuff, but there were some problems with how they handled the irascible crowd (more on the crowd later). First, the enthusiastic moderator committed two group management sins in the AM session: he lost control of the flow of conversation many times, and he allowed 3-4 people in the crowd to dominate spontaneous conversation. One Greater City Providence member correctly said he felt like an “audience member rather than a participant” in the morning session. The lack of local knowledge by the moderator (from Kansas City) was also obvious, and this sometimes made the sessions feel more like didactic teaching by the audience to the moderator as they brought him up-to-speed (and these were sometimes skewed teaching sessions at that). Unfortunately, the decision was made, for whatever reason, to hold many of the sessions (the majority, actually) during the workday. This will, unfortunately, prove a quite fatal mistake on many fronts, if only because many people with agendas from various groups were already loudly chipping away at the integrity of the charrettes from the get-go, declaring them to be “invalid” and “illegitimate” for this reason. This may have also contributing to a distinct lack of diversity of audience members present in almost every sphere. As some planning knowledgeable people said, they recognized almost every single public participant in the room from various interest groups and prior battles (including, admittedly, us). For many reasons, that fact alone I believe will undermine the value of these sessions to everyone involved, from the Planning Department to the true lay-people who show up. But more on that later in subsequent posts. Most of all, I encourage everyone reading to attend themselves, participate, and then make up their own minds.